CM Chapman’s collection of three short stories, MUSIC & BLOOD (Latham House Press, 2016) will be released on Feb 21, and is available now for online pre-order via the form below. Reservation requests will be answered with an emailed invoice. When printed invoice is returned with payment, reserved copies will be mailed out same-day beginning Wednesday, February 22. Latham House Press pays shipping. CM Chapman’s fiction has appeared in numerous print and online journals, including the Kentucky Review, Bird’s Thumb, and Rose Red Review. Joyce Carol Oates and Albert Goldbarth selected CM’s story “The Moth Under The Stair” as a finalist for december magazine’s 2015 Curt Johnson Prose Award. A poster print of the book cover will also be available for purchase. The first ten book orders will be accompanied by a free poster print. See lathamhousepress.com, and follow Latham House Press on Facebook and Twitter, for pre-order announcements. Publication is set for September 2016. MUSIC + BLOOD, a collection of three short stories by CM Chapman, has been selected as the second chapbook release from Latham House Press. CM Chapman’s fiction has appeared in numberous print and online journals, including the Kentucky Review, Bird’s Thumb, and Rose Red Review. Joyce Carol Oates and Albert Goldbarth selected CM’s story “The Moth Under The Stair” as a finalist for december magazine’s 2015 Curt Johnson Prose Award. Publication date tentatively set for Spring 2016. Latham House Press launches today at 7pm in the Upshur Reading Room at the WV Wesleyan College Library. 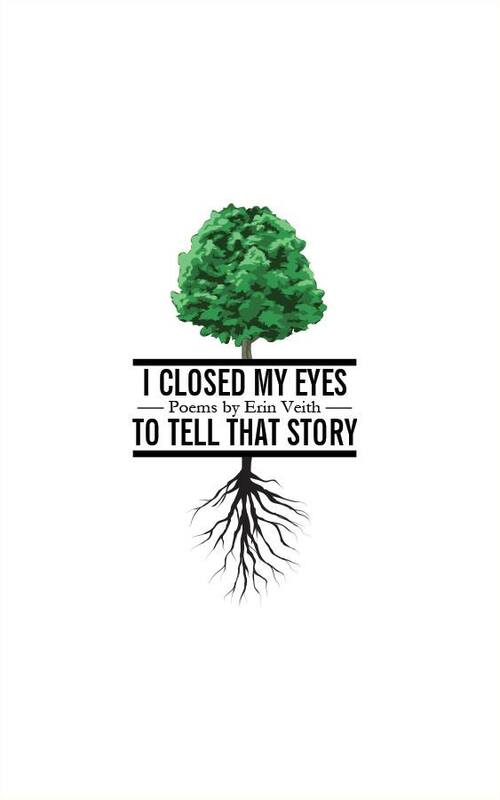 Erin Veith reads from her book of poems _I Closed My Eyes To Tell That Story_, with copies of this limited-edition collection available for purchase at $12.00. On the same reading bill is Jeremy Jones, author of _Bearwallow: A Personal History of a Mountain Homeland_ (2014). Come join us! like I remember how it feels. Erin Veith’s collection I Closed My Eyes To Tell That Story, the launch publication of Latham House Press, will be published on July 7, 2014. This will be a limited-run edition of 250 numbered copies. Copies are now available for pre-order via the form below. Reservation requests will be answered with an emailed invoice. After invoice is returned with payment, reserved copies will be mailed out beginning July 8. Latham House Press will pay shipping. Please email editor@lathamhousepress.com with any questions.